The second Asics Penang Bridge International Marathon 2014 Running Clinic will be held on the 17 August at Taman Bukit Jalil from 7.30am onwards. The Running Clinic aims to assist new and seasoned runners in preparation for the upcoming Asics Penang Bridge International Marathon 2014. Participants can expect useful tips from experienced trainers and fellow runners at the Running Clinic. The Running Clinic is free but prior registration is required. The first 300 participants to register will receive a free goodie bags by ASICS. Please register by 15 August 2014. 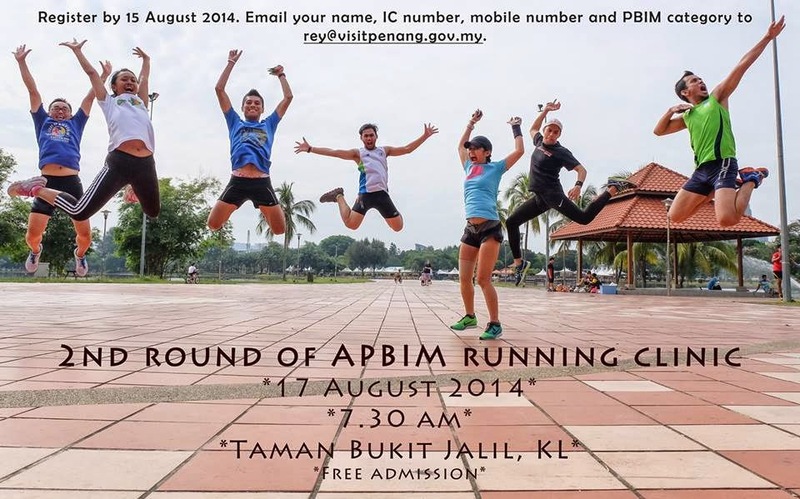 Email your name, IC number, mobile number and PBIM category to rey@visitpenang.gov.my. Runners who have opted for Early Bird Race Pack Collection in Kuala Lumpur can also collect their race packs on the same day from 8.30am to 12.30pm. Please bring along your receipt, and IC or passport to collect your race packs.